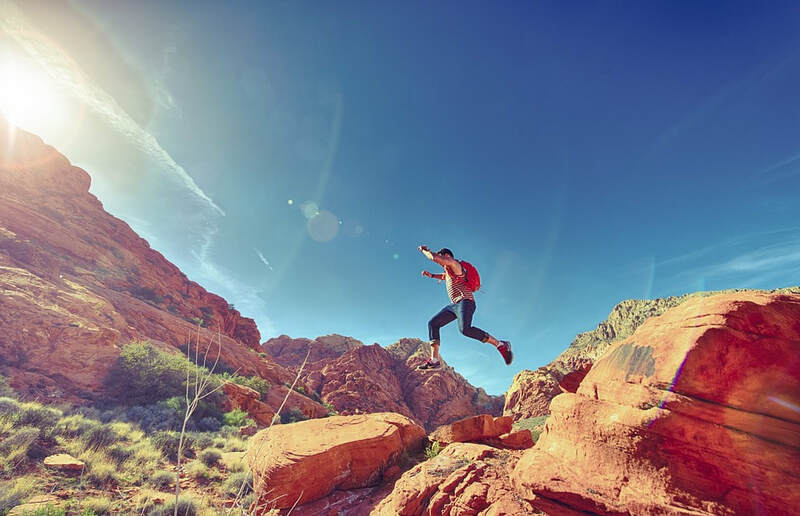 Each spring, thousands of keen hikers descend upon Southern Nevada in a bid to tackle the Red Rock Canyon National Conservation Area trails. It is an incredibly fun and picturesque walk to embark on amid the springtime climate, so it’s popularity during this season comes as no surprise. If you’re a hiker and want to try out Red Rock Canyon, you need to bear in mind that your safety is going to be put in jeopardy the moment you embark on the trail. By failing to plan beforehand or making one wrong move while you are out hiking, you could land yourself in serious danger. 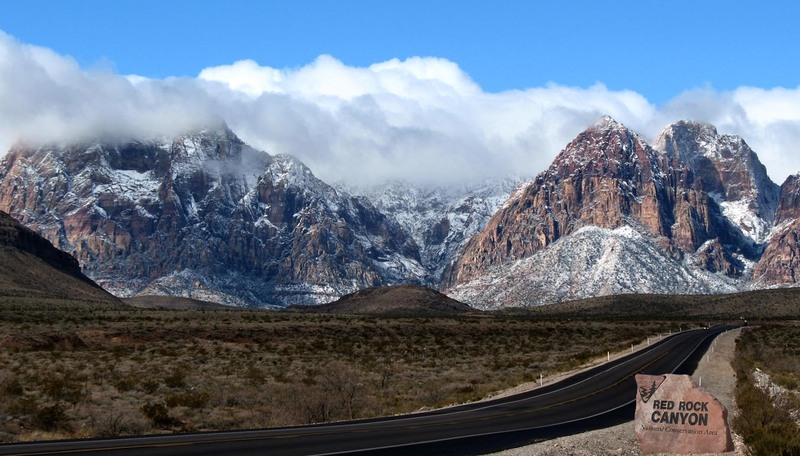 As you are probably already aware, even during the spring, the Southern Nevada weather can be unforgiving at times. Forget to take Mother Nature into account in this instance, then, and you will more than likely land yourself in real danger. Most of the time during this season, the Mojave Desert climate is warm and sunny — on the odd occasion, though, the blistering heat of the Nevada summer will come early, and temperatures will sore. If the temperature is forecasted to be particularly high, it’s best to avoid hiking completely. On the other hand, if it’s supposed to be excessively windy, rainy, or stormy (which it very well can be during the springtime in Nevada), then it’s best to stay at home and wait for the bad weather to pass. There’s absolutely nothing to be gotten from you choosing to, maybe quite literally, enter the eye of the storm and tackle Red Rock Canyon when the weather is tumultuous, so check the weather forecast before you embark on your trail to ensure that it is safe for you to do so. To ensure that there’s someone there to assist should you, say, fall victim to one of Red Rock Canyon’s many uneven and cracked surfaces, you need to resolve to only ever hike in groups. There’s nothing to be gotten from you trying to tackle this trail alone, so put that ego to the side and don’t do it! If you have no friends or family members who want to hike the Canyon with you, then make sure to keep an eye on www.escapewithpro.com. 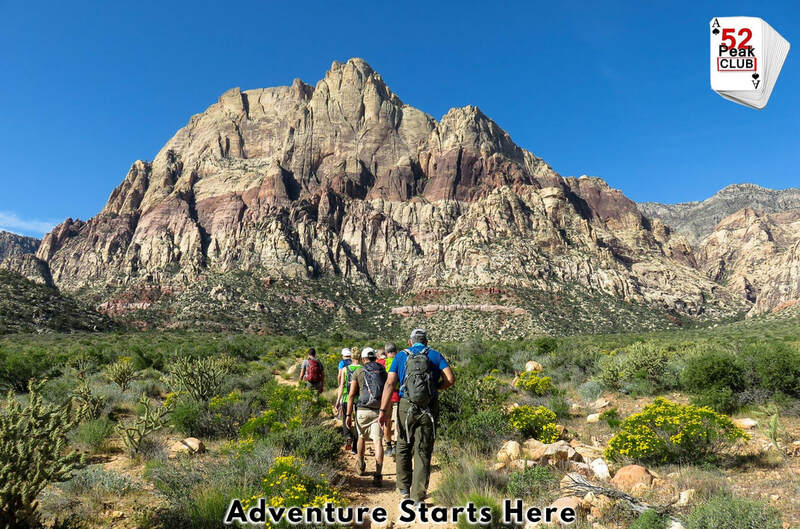 Here, you will find information on a wide range of multi-day group hikes — it’s down to you to keep tabs on the website in order for you to be the first to see when a Red Rock Canyon hiking expedition is taking place. Even if you have embarked upon your hike with a group of people that are far more accomplished at walking long distances than you are, it’s essential that you do not overexert yourself. Red Rock Canyon is home to a plethora of trials, each of which varies in difficulty, so you’ll always be able to find one that suits your hiking skillset. If you ever choose to hike across Red Rock Canyon, you have to remember that staying safe is paramount. Take the above advice, then, and make sure you finish the trail in one piece! Post-travel blues might kick in for some and others might jump straight back into their old life as if their travelling experience never happened. But, before you get too comfortable on the sofa, or get lost in those endless emails, you have a few things you need to sort out. I know, I know, travelling seems like an endless array of to-do lists and pre-planning organisation and it doesn’t stop once you’re back on home turf! Read on for 4 things to do when you come home from travelling. You can probably tick off many places on the map of the world, and you’ll have some awesome memories to go with it. From gorgeous photographs that you didn’t share on your social media pages, to that beautiful sari that you bartered for on that market stall in Mumbai, you need to take some time and go through everything you’ve brought home with you. Find special places for your souvenirs and get those images printed off and displayed all around you. Don’t let them sit on your memory cards or in your phone gallery for the rest of your life! This is something everyone should do, even if they haven’t been travelling. But now you’re back home, it’s a good idea to check your accounts and make sure that nothing looks suspicious. Identity theft is a growing problem, and because us travellers tend to carry plenty of information about ourselves with us on our travels, use unsecure internet connections and use our credit cards in all kinds of scenarios, it’s easier than you think for someone to steal you identity and empty your accounts. Check them now and speak to your bank about any irregularities. ​If, like many travellers you invested in an international package on your phone while you were travelling then take a moment now to cancel it. This is important as you might end up paying for it for months before you remember about it! Travelling takes its toll on your body. Even the most experienced and hardened traveller will tell you that sometimes you need to take a break. So, now that you’re back home make sure you’re not over doing it. Take the opportunity to catch up on all that lost sleep, hit the gym if you’ve been a little sedentary over the past few months, or treat yourself to a massage to help with all those aches and pains from sleeping on uncomfortable buses, the benches at the airport and uncomfortable hostel bunks. Most people think of a vacation as an undertaking where you go to one destination and spend your time there enjoying yourself. This can be an exotic island or a big city. It can be a theme park, or someplace that is barren and mysterious. The plan is to get to this place and to enjoy whatever is there and then to go back home after that trip. There are other types of vacations however that give you an opportunity to see multiple places during your vacation. In fact you can have a vacation where you see very different types of topography and architecture. A trip where you can enjoy lots of different types of food and entertainment and have all of it be authentic to its roots. All of these vacations require you to do them on the move and here are some of the best for you to consider. the chance to spend time on a beautiful chartered boat that sails through the seas and oceans swiftly and quietly. Sailing is a great way to get the family together for some bonding on the sea. Companies like Vyra.com offer a wide range of sailboats that you can charter and sail around the Mediterranean allowing you to visit several port in some of the most desirable countries in the world including Italy Spain. France and Greece. You can rent a boat for a week or a month and expect to have the latest amenities and smooth sailing by a professional crew. The charters include food and accommodations and are available year round. You can make your own personal itinerary to visit the places you want to see o to just relax and sail. A Yacht is the ultimate house on the sea concept with different yachts having all of the amenities of a high end home. They have luxurious state cabins and accessories like Jacuzzi tubs, theaters and private gyms for daily workouts. Some can also dock at the most difficult to reach islands and allows guests to experience the ultimate in privacy and cool. Depending on the type and size of yacht you charter, you can expect to have an all-inclusive experience or one where you make constant stops to have meals and for entertainment. But each yacht will also allow you to do some fishing, scuba and snorkeling directly from the deck. Travel to several countries and arrive by port then take off in a day or two for your new port and enjoy the cruising all the while. Recreational vehicles used to be low end affairs that were difficult to drive and offer the bare minimum in comfort. Today however you can rent RVs that are literally houses on wheels. Some have game rooms and full kitchen and even sleep up to a dozen people. You can take them across the country and stop in any climate or terrain you choose. Many families rent them and go on a themed vacation, stopping at particular events that fit that theme. The theme might be sports, music, and even art. The comfort is phenomenal and the ride is so smooth you will forget you are moving. Having a mobile vacation allows you to see many places ad do a variety of things on one vacation. Las Vegas is one of those places that is on many bucket lists as it is a one-of-a-kind destination, full of glitz and glamour. Often dubbed “the city that never sleeps,” the Las Vegas skyline is always alight with a vibrancy that would be hard to find anywhere else in the world. If you are thinking about traveling to this incredible place, then start by doing your research and visiting high-quality travel blogs, such as mrhudsonexplores.com, to get all of the essential information you are going to need to have the time of your life and take your pick of the incredible attractions Las Vegas has to offer tourists. To give you a helping hand to choose where you want to spend your time when in Vegas, this useful guide has been put together to recommend you the top four things you must experience on your trip and why. ​One of the first things that tend to jump to peoples minds when they think of visiting Las Vegas is the breath-taking phenomena of the Grand Canyon. It is widely believed that the mammoth Colorado River carved the Grand Canyon into the rocky landscape some five to six billion years ago, making it a site of both geographical and historical interest. What’s more, there are a vast variety of different ways to tour the Grand Canyon, depending on how well you do with heights! For the very adventurous, you can glide over the landscape in a helicopter or climb the mountain on the back of a mule. If you prefer a slightly less daredevil experience, then taking a minibus tour will be just the ticket to see this incredible landmark. Another staple of Las Vegas is the vast range of live shows they put on. When looking at the best shows in Las Vegas, it is easy to see that there really is something there for everyone to enjoy, from music to magic to acrobatics. In Las Vegas, you cannot help but be entertained at every hour of the day 3. You can use an online guide to find out before you embark on your adventure to Las Vegas, but essentially The Strip is the place where you can find just about anything. Great shopping, street performers, photo opportunities, and a whole host of local color to provide you with a memorable experience of the place. The final experience you can’t leave Las Vegas without doing is taking in a show of the stunning Bellagio Fountains. These fountains have been made famous from their appearance in countless Hollywood Film and popular TV shows, and for good reasons too! The combination of powerful water jets, lights, music, and the stunning backdrop of the Vegas skyline make it the ultimate place to share a drink in the evening and take in the sheer spectacle that is offered by Vegas. Las Vegas is known for its nightlife and casinos, but depending on the length of your stay, hitting the slots will only take up so much of your day. The same goes for hiking. While there are plenty of beautiful hiking areas around Las Vegas to check out — such as Red Rock Canyon and the Grand Canyon — you might not want to do this every day. So, what else is there to do in Vegas? There’s a lot to do and see in Vegas, especially when it comes to entertainment. Some of the most popular shows are: the six Cirque du Soleil shows (such as Michael Jackson ONE, the Beatles LOVE, and Blue Man Group), the Tournament of Kings at Excalibur (a dinner show), Absinthe (an over-the-top burlesque show), Penn and Teller (a comedy and magic show), V - The Ultimate Variety Show (which includes circus stunts and comedy), and Terry Fator’s ventriloquist show. This is just a small selection of all that Vegas has to offer, so check out the event lists at specific venues and on Google to get a better idea of the many other shows currently happening in Vegas. Vegas is a great place to see one of your favorite bands or musicians. For example, some of the current or upcoming headliners are Celine Dion, Cher, Lady Gaga, Van Morrison, ZZ Top, the Backstreet Boys, James Taylor, and Aerosmith. Another option is to check out one of Vegas’s many music venues, like House of Blues (where you can hear live music and grab a bite to eat), Velveteen Rabbit (for themed events like ‘90s night), and Double Down Saloon (which has a variety of free shows). Las Vegas is known for having some of the best restaurants around, so a trip to Vegas is the perfect time to treat yourself to a great meal. If you have money to spend and you’re in the mood for Japanese food, head to Raku on Spring Mountain Road. At the Wynn Hotel, check out Cipriani (Italian) and Lakeside (steak and seafood) for their food and their artistic interiors. Other popular, top-rated spots include Sinatra (Italian), Joel Robuchon (French), Andiamo Steakhouse, and Twist by Pierre Gagnaire (French). If you’re traveling to Vegas with your family, you might want some additional options besides checking out the entertainment or food. One option is to take a ride on the High Roller at The LINQ, which is the tallest observation wheel in the world at 550 feet. This activity only takes about 30 minutes and you’ll get incredible views of the Strip and the valley. If you’re feeling even more adventurous, consider taking a helicopter tour of Las Vegas or the Grand Canyon. Want to stick to the ground? Another option is to visit the Madame Tussauds wax museum at the Venetian resort, which features more than 100 celebrity wax figures — a trip that will be sure to please every member of your family. If you’re looking for some additional activities outside of hiking and experiencing the nightlife, there’s plenty to do in Vegas. Be sure to check out some of the above activities before your trip so you’re never stuck with the same old routine in Vegas. The anticipation of clocking in your vacation days and packing your bags for a new adventure is absolutely unparalleled. The rush of exploring a new city, sailing across oceans and marveling at the wonders of our world is the big upside that millions of people look forward to. Travel is not all rainbows and butterflies, but the experiences you create undeniably play a large part in shaping your personality, your likes, and dislikes and broadening your knowledge of the world we live in. The key to your perfect little trip is to do it over and over till you get it right. Though itineraries tell you where to go and what time to wake up, it doesn’t tell you how you can make your trip more comfortable. Only you have the expertise in your comfort and the more you do something, the more you realize the tools you need to make your travel experience better. People often say practice makes perfect and it is true for travel like it is for everything else in life. 1. Wear comfortable shoes – While travel pictures on Instagram will have you yearning for the glamour of high heel shoes or sleek dress shoes, it is important to take into consideration the amount of walking that will be done. Sore feet don’t lead to smiling faces or happy souls. Comfortable shoes that let your feet breathe is an essential accessory for your travels. It lets you see a lot more in a day and can help you make the most of your itinerary. Choosing comfortable shoes depends on the location you are going to. A pair of cute flats for dinner, flip flops for the beach and sneakers for a day exploring the city is a good method of planning. 2. Get your sleep – Clocking in sleep while traveling is an important thing. Sometimes, it might not be as easy as it sounds. Lumpy, old mattresses are unfortunately way too common in budget accommodations. Bed bugs are another disastrous consequence that cannot be contained. There is no way to predetermine the mattress types used in budget accommodations. The best way to contain risks, especially while traveling on road, is to carry your own mattress in a bag. With free mattress trials from many manufacturers, you are completely eliminating any risks involved in sleeping on uncomfortable mattresses while you roam the world. Budget traveling is not about luxuries but that doesn’t have to stop you from carrying your own. 3. Choose traveler cards over cash – You might have already begun your plans for your shopping spree when you booked your tickets. Instead of carrying a wad of cash around, which is definitely not safe, a travel card will work better in your favor. You can load your travel card with multiple currencies, so you can make that impulse buy during your layovers as well. Travel cards are safer and easier to carry around. You can keep track of your spending and safeguard yourself from rate fluctuations of the currency. Your bank will have an option of travel cards and it’s as easy to obtain as a click on the bank website. 4. Spend on experiences – The first thing people often do after booking a ticket is book their accommodation. Staying in hotels is an unnecessary expense. You might barely spend a few hours in the hotel and will fork out a lot of money to do so. Alternate travel accommodations like Couch surfing or Air bnb are cheaper and cozier. You can stay with a local family opening up their home to you and make the most of a culturally immersive experience. It also opens up your planned adventure for new trails. You can use the money you save on new experiences that create lasting memories. 5. Pack Less, Move More – Packing is an important part of preparing for your trip. Unfortunately, the lines between ‘packing for comfort’ and ‘packing excessively’ tend to blur and you end up carrying more than you bargained for. The key to packing is always asking yourself if you can lug it up flights of stairs. If you look at an item and wonder if it is really useful, it most probably is not. Packing the essentials allows you to move around easier and with each trip, you end up learning what your unique essentials comprise of. Packing less is not a competition or a badge of pride. It is convenience, mobility, and comfort. Packing smart means planning ahead, scaling back and lightening the load. It means focusing on experiences rather than the materials. Preparing well reduces the stress of your travel ambitions on your body. The right gear and smart packing can help you contribute to a happy, adventurous travel experience. Travel-ready products available in the market take out the hassle of extensive checklists. Travel bloggers and influencers give you an idea of how to create an itinerary and how to toss it out when adventure beckons. At the same time, it is important to create realistic expectations. You cannot expect polished service and quality products in budget travel. Nor can you throw tantrums while cutting back on your costs. Even luxury is not standardized across the world. Therefore, it is important to create realistic expectations from your trip based on your chosen destination. You can do this by research, knowing what you are getting for your money, gearing up and choosing to do so. This way, you can make the most of your experience. There is no right way to travel. This is because your needs, desires, likes, dislikes, and comforts are unique to you. Only you will be able to create a customized plan that works well for you. The more you experience, the more you understand your needs better. As long as you prioritize safety, shelter, and slumber during your travels, you can create happy memories that last forever. Walking, hiking in the most unspoiled nature environment, whether it's around Las Vegas or anywhere else in the world, is very good for your health. This is an established fact, even more than winning at a casino at Borgata. It is an activity that is indeed suitable for everyone and that turns out to be a healthy touch for the body and the mind, becoming a sort of long life elixir. It seldom happens that all branches of medicine agree on some considerations, but this is the case. For example, across the Pacific Ocean, in traditional Japanese medicine, walking in wooded areas is actually a healing method that is called Forest Bath (Shinrin-yoku): it is an ancient form of therapy prescribed to purify yourself from the toxins of your daily stress. More recently, several scientific studies from the land of the rising sun have confirmed that walking for prolonged periods and breathing deeply in the middle of natural areas will strengthen the immune system. It reduces blood pressure, decreasing levels of stress hormones and cortisol, helping you control your heart rate. It is a type of adjunctive treatment that can be used in place of medication, which is healthier for us in the long run. It is difficult to find something else that can have so many positive effects on our health in the same way. However, the power of trekking doesn't stop there. Walking, in fact, makes you feel good because it increases your attention level thanks to serotonin, known as the hormone of happiness and creativity. Yes, you got it, walking stimulates creativity: moving, getting up from the chair or the sofa and leaving the house helps to find creative solutions to problems, helps to unravel tricky situations when it seems that there is no other way out. And the farther you get from your home and reach outdoor areas, the greater the enhancement of creativity will be. So, try and get out of your routine as much as you can. Actually, we haven't finished listing the benefits of hiking in natural areas. Trekking is an aerobic activity and therefore also stimulates the production of red blood cells, giving the muscles a greater supply of oxygen that reduces the fatigue of physical activity. Finally, there is a factor certainly not to be overlooked: trekking improves muscle tone and is therefore an excellent ally to maintain a healthy shape. Hiking is an automatic way to strengthen and invigorate your legs, buttocks and abdominals. Your muscular fibers and joints will be reinforced while your tendons and ligaments will maintain a high degree of elasticity. Even your bones will come out fortified, removing the risk of osteoporosis. Walking for a long time also allows you to burn calories eliminating excess fat, and this isn’t just an aesthetic issue as in the long run it might become a health problem. So, whether it's in Red Rock Canyon, Lake Mead or Mt. Charleston, it doesn't matter. Just keep walking, and never stop! Clearly, you want to choose your route according to your age, how well you are trained and in consideration of the time available and the weather conditions. There are really a few things in this world as simple as walking to make you feel better. Although competition from online casinos is increasingly strong with nonstop offers for players such as promotions from Borgata, Las Vegas remains the world's mecca for gambling lovers, where fans of roulette, slot machines and blackjack dream to go at least once in a lifetime. But if you are visiting this place, it could as well be because you already know that around this sleepless city there are also wonderful places to discover. Not more than 20 miles from the lively center of Las Vegas, not far from the bustle and the artificial lights of the Strip, there is a wonderful natural park whose trademark, needless to say, is the red rock typical of this area. Red Rock Canyon is in fact a natural stage where it is possible to admire splendid formations of red rock, inserted in a surreal and rather fascinating scenery. The Keystone Thrust Fault is undoubtedly the most interesting geological element of the canyon. According to studies by scientists interested in the area, this fault was formed approximately 65 million years ago, when two crust plates collided with such force that one of the plates was pushed even over the earth's crust. The fault is clearly indicated by the sharp contrast between the grey limestone and the red sandstone. There are many hikes to take. If you are an expert, we strongly advise you to hike to Turtlehead Peak trail. Don't take this route lightly, because it is a hike that tests even the most experienced hikers: some points of the climb on the rocks are complex, but the view from the top of Turtlehead Peak is worth all the effort. Calico Tanks is a real lesson in geology and prehistory in the open-air right in the heart of the canyon, between strange rock formations and narrow paths in the shade of its red walls. One of the most intriguing excursions in Red Rock Canyon is the Ice Box Canyon trail. After a nice bit of walking in the desert, you will arrive near the most covered area of the canyon, where you will find small natural pools and waterfalls. If the area of Ice Box Canyon is relatively refreshing, it is also true that to reach it you have to suffer a bit of heat during the warmer months: equip yourself accordingly, bringing a good reserve of water. The trailhead is 7.7 miles from the Visitor Center. If you are a family and want to choose easy paths, we recommend two other trails. From Calico Hill you can reach two different and very evocative viewing points, easily accessible by all. Also, the Moenkopi Loop is an easy path that starts from the Visitor Center and progresses along a desert area of the park, where you can enjoy the reddish panorama of the Wilson Cliffs, walking between Triassic fossils and stubby cacti on the side of the path. You can walk through the loop and return to the Visitor Center or follow the path along the area of Calico Hills that we mentioned earlier. The Hoover Dam, Red Rock Canyon, Bryce Canyon, Death Valley, the Grand Canyon and the Valley of Fire are some of the most picturesque natural and human-made wonders of the world. These locations are all within a comfortable driving distance from the city of Las Vegas and offer a unique contrast to the glitz, glamour and bright lights of Sin City. Many people make Las Vegas the destination for their vacation every year, whether it be a short break from somewhere else in the United States, or a holiday of a lifetime from somewhere else in the world. For many, the lure of the casinos and the opportunity to practice their poker playing is all they need from Vegas. For many others, the city's surroundings are just as attractive and for those looking for an opportunity to explore, the hot springs are a great location. There are many hot springs in the world, and although there is no universally agreed definition, a broad description is that they are bodies of water, where the water is heated geothermically (from the warmer rocks underneath). Common places to find hot springs are around volcanoes. There are around eight hot springs around Las Vegas and over 20 in the whole state of Nevada. There are several options for hiking tours from Las Vegas, with hikers picked up directly from their hotel. Tours to the Hot Springs are a great option for those looking for something unique. Tours generally don’t run in the summer months of June, July and August as these are the hottest months in Nevada. For the rest of the year, tours take place daily, although times vary slightly depending on the season. The tours offer excellent opportunities to admire the local wildlife, soak in the geothermal pools, and relax with a picnic lunch (there’s nowhere around you can buy food from, so picnic is your only choice). The hike will take you along volcanic rock formations and loose desert sand, with some steep inclines in sections. Although the path is not technically very challenging and suitable for beginners, it should be noted that it will be physically demanding for anyone not used to such activities. Of course, you’ll have time to rest and relax in the hot springs, as well as on the ride back to the city. The hot springs are located in Black Canyon, near to Lake Mead. The lake was formed after the creation of the Hoover Dam and water from the Colorado River flowed into the area. The lake supplies water to several US states and to some parts of Mexico and is the largest reservoir in the United States of America. The Black Canyon is located on the state line between Arizona and Nevada, having been formed 15 million years ago. Hiking through this area to reach the Hot Springs will see you navigate your way down the canyon walls to rich the pools of the hot springs, as well as explore along the riverside. Hiking in this area can be a fantastic experience for both experienced and beginner hikers. The Hot Springs provide a great combination of different elements, including great views and hiking through beautiful scenery. Whatever your experience level, make sure to carry plenty of water, food, gloves for the ropes you will use, and other supplies with you, but be rest assured since you’ll be under the supervision of a guide. Most importantly, make sure to have fun!